1. To maintain a link between the old students and the Alma-mater. 2. 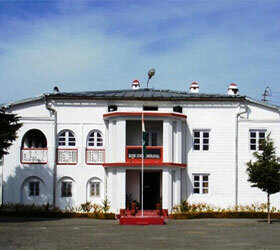 To recapture, maintain and nurture the values and traditions imbibed while in the School. 3. To develop and foster a family feeling befitting alumni of a common educational institution. 4. By precept and practice set example worthy of emulation by the junior students. 5. To generate and evolve policy methods by which the ex-students help in the healthy growth of their Alma-mater. 6. To motivate students to join Armed forces and other coveted walks of life.